1. State Street: Chicago is really an easy city to get around. State and Madison is where the city begins State Street runs North and South and Madison runs East and West. At State and Madison you are at 0 degrees north and south and 0 degrees east and west. 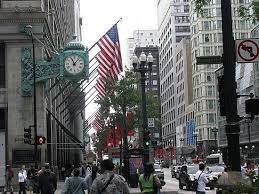 State Stree is still a Great Street with Macy’s or what I still refer as the old Marshall Fields. 3. 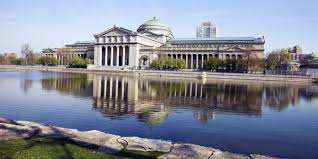 Buckingham Fountain: The Buckingham Fountain was built in 1927 and is a center piece to Chicago and its wondrful parks. 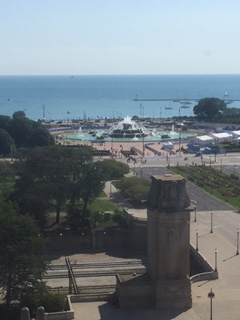 Buckingham Fountain makes you feel like you are in Paris. 4. 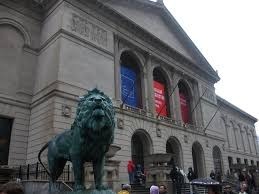 The Art Institute: One of the premier Museum of Art in the world with one of the best Impressionist Art Collections. 5. 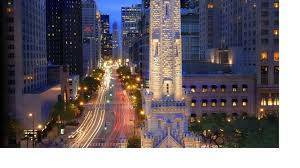 Michigan Ave: Most beautiful street with the best shopping in the world. Picture shows one of two water towers that survived the Great Chicago Fire. 6. 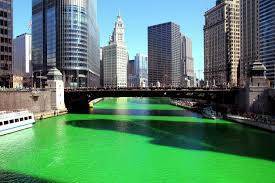 The Chicago River: Take a tour down the Chicago River or come visit during St. Patricks day and watch the River turn green. 7. The Chicago Blues Festival: Attend one of the many festivals and enjoy Blues, Jazz, Gospel, Classical, to Rock. 8. 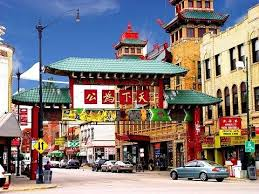 China town: Enjoy the food at China Town, Greek Town, Italian Neighborhood, Pilsen for Mexican. 9. 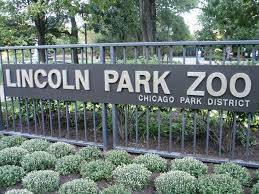 Lincoln Park Zoo: Open all year long and free. 10. 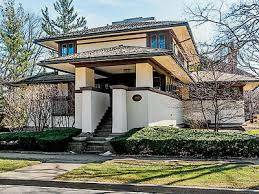 Frank Lloyd Wright: Enjoy the different archecture styles from Prairie Style, Queen Anne, Victorian to mid-century modern. This entry was posted on Tuesday, June 23rd, 2015 at 8:05 am	and is filed under Ask the "Specialist", For Buyers, Investing in Real Estate, Local Markets. You can follow any responses to this entry through the RSS 2.0 feed. You can leave a response, or trackback from your own site.